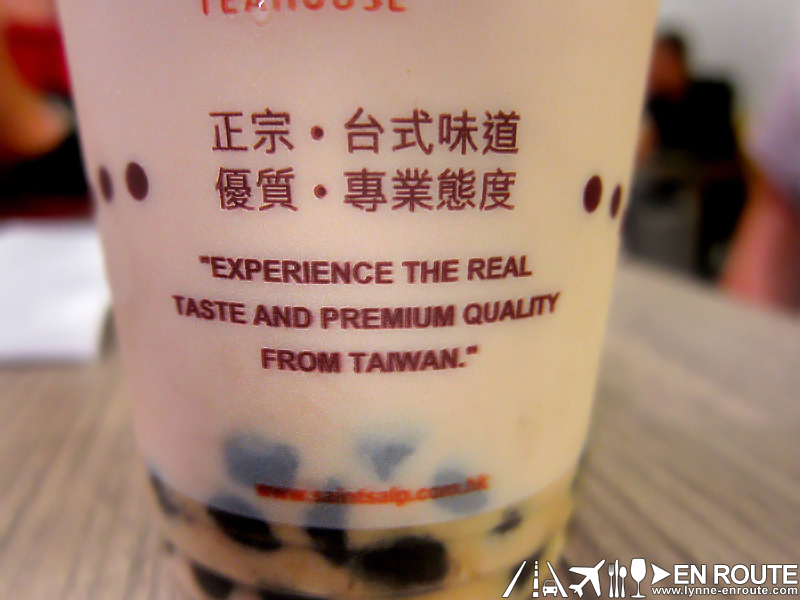 You would think the people behind En Route would have their taste buds soaked in so much milk tea that it’s becoming sickening. Well there’s still more to try! (Yes. 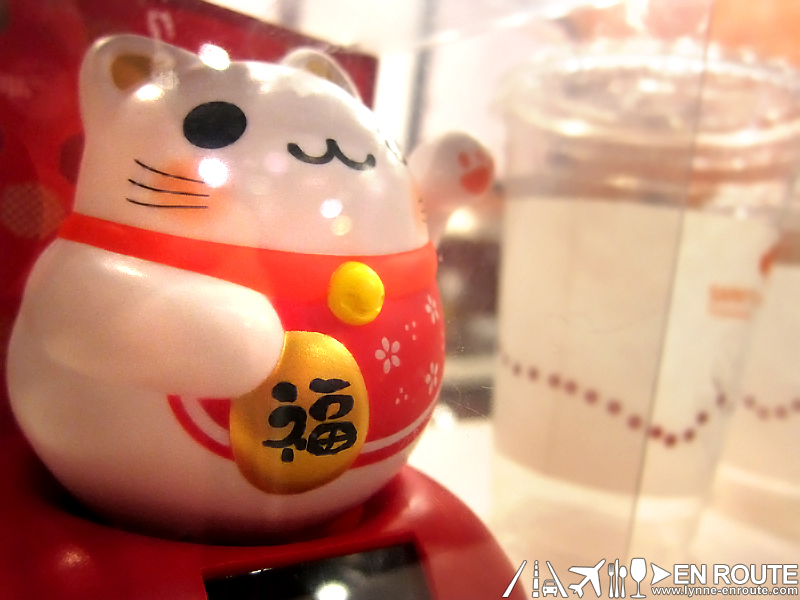 That means there will be more milk tea reviews soon!). So here’s another one that at first glance, seems like there must have been a mistake in the grammar. But there you have it, straight from Hong Kong and it really is spelled that way. 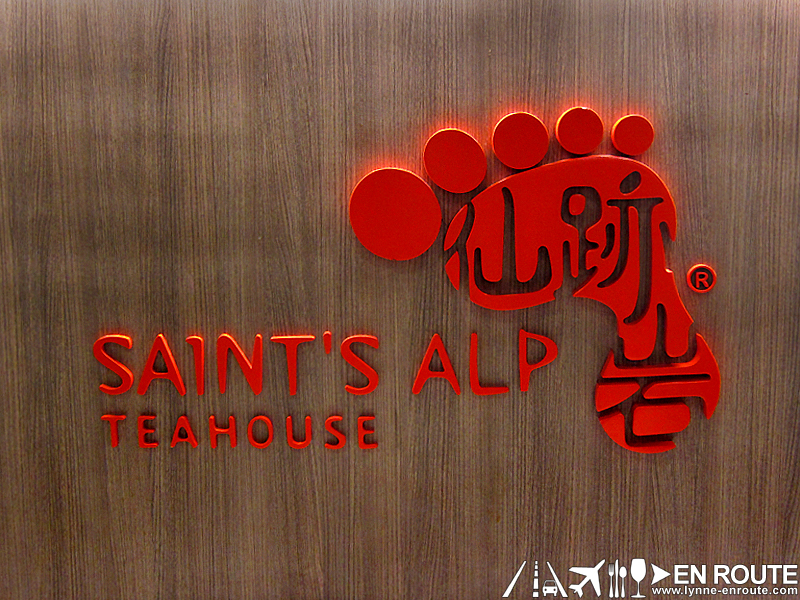 Saint’s Alp is apparently a Hong Kong based brand selling the Taiwanese tea house and milk tea concepts. It’s pretty much like Ersao that sells food with their tea drinks. It does seem more like a cafe. The feel of the environment is that it invites you to stay more than just for their tea drinks. As a matter of fact, they do have pastas and sandwiches in their menu. First two up for sampling was their Black Tea with Milk and Coconut Black Milk Tea. Hard to tell the difference between the two in terms of color but the unmistakable taste of coconut is apparent once sipped. As for the black milk tea, it becomes hard to distinguish it from the other milk teas in the market, but the pearls are chewier and milk taste is on the creamy side. You cannot go wrong with these two. 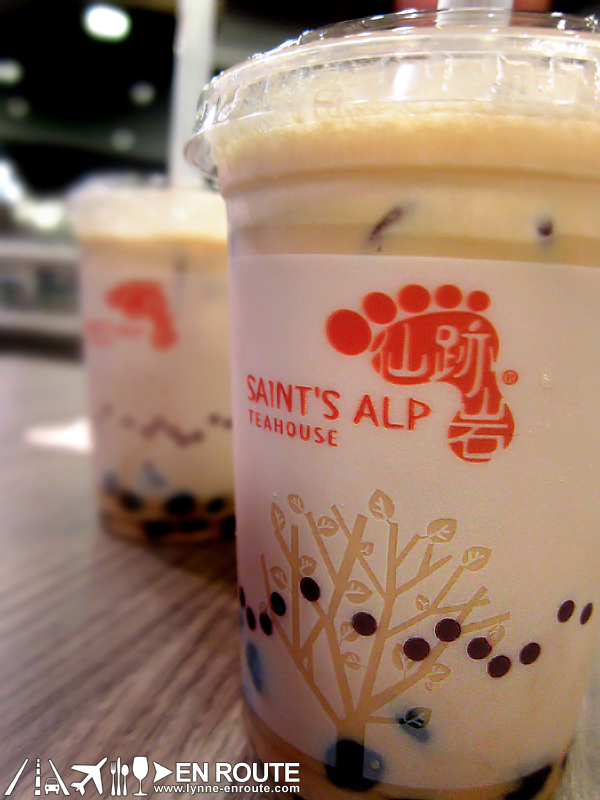 While it may seem like there is a saturation point in the milk tea market, The value that Saint’s Alp brings is for people to hang out and complement their milk tea with their food menu. There should be a few stores around metro Manila. This one, in particular, was in Katipunan Ave. There should be one within the Fort Bonifacio area. Try it out and share 😀 ! 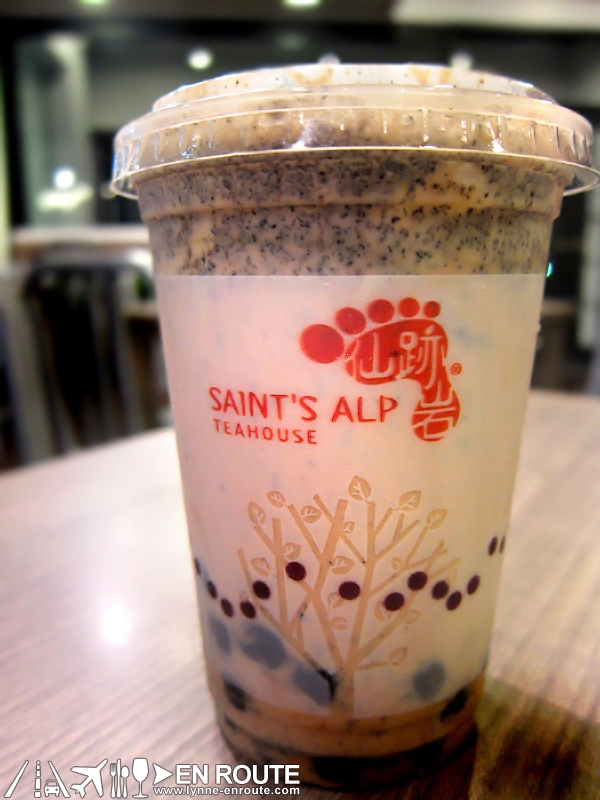 Fan of Milk Tea or have your own favorite? Share it with us by commenting on Facebook Comments below 😀 ! 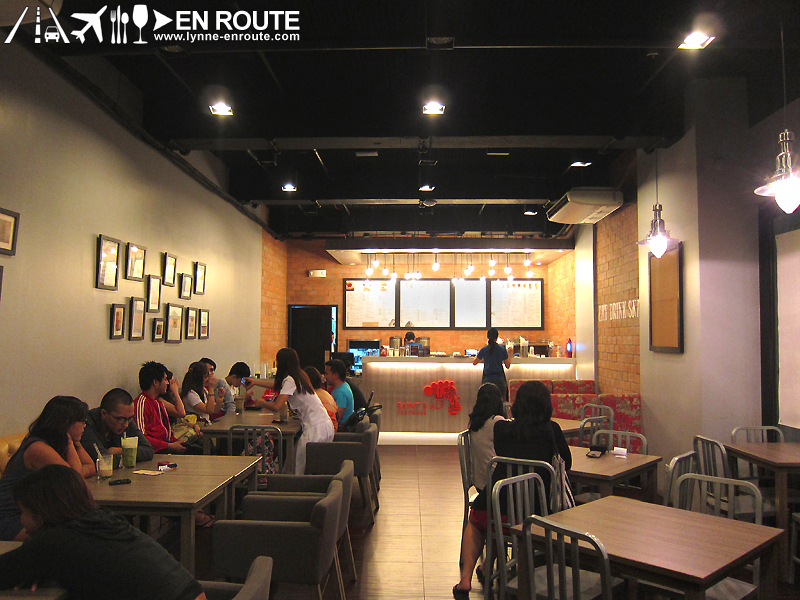 Katipunan is really becoming a foodie hot spot! For awhile there, I thought that there is finally a milk tea place near high street. Seems this is almost in the same area as Serenitea, which is very out of the way. Sigh. Yeah. I was wondering if at least one milk tea place in Bonifacio High Street. Well maybe soon there will be 😀 !